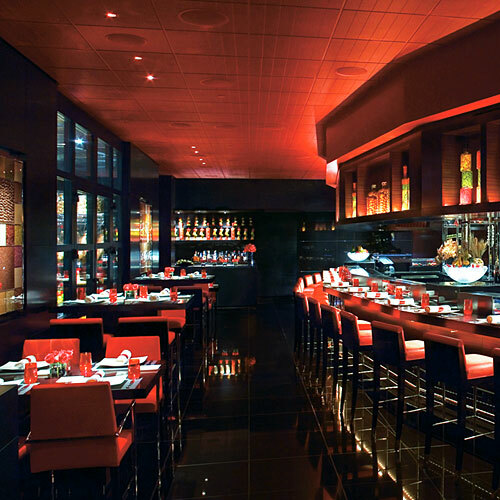 Joël Robuchon's main restaurant, with its 16 course tasting menu, is famous for being the kind of experience doctors and lawyers need to save up for. 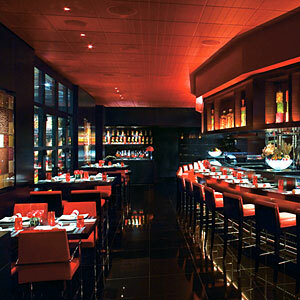 For a less lavish and less pricey experience, come to L’Atelier de Joël Robuchon to sample his signature French dishes à la carte. It's not a bargain bite, but it does put the master chef's handiwork within the reach of more of us. Joël Robuchon’s main restaurant, with its 16 course tasting menu, is famous for being the kind of experience doctors and lawyers need to save up for. For a less lavish and less pricey experience, come to L’Atelier de Joël Robuchon to sample his signature French dishes à la carte. It’s not a bargain bite, but it does put the master chef’s handiwork within the reach of more of us.